Port Elgin Ontario is one third of what makes up Saugeen Shores. It has a thriving natural harbour filled with power and sail boats alike. Beaches stretch from Port Elgin Harbour through to Gobels & Eidts Grove. Take a beach train ride, grab an ice cream or wander through town, Port Elgin has a thriving cottage and year round community. I have memories of Port Elgin dating back to my teens, when I stayed at a Motel at the south end of town. We danced at the Beach Pavilion to Hey Jude and frequented the Queens and the Arlington Hotel. You can still stop for a pint at the Queens, but long gone is the Pavilion now the site of the summer Wednesday flea market. 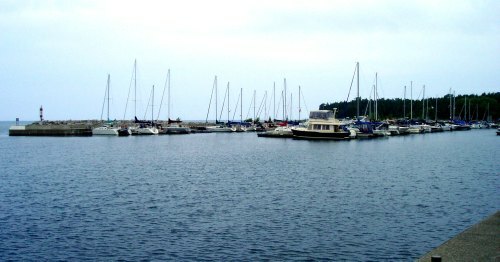 The Port Elgin Harbour is the centerpiece of town. It is a lovely natural harbour with sailboats, power boats and a thriving dock community. It is also where you find the Port Elgin & North Shore Railroad which is a fun activity for young families. There are multiple places on the beach to grab an ice cream and check out all the boats. There are weekly beach carnivals on Tuesdays, Thursday, Fridays and Saturdays. Live bands play concerts at the band shell on Sunday nights. Wednesdays there is a flea market adjacent to the Harbour. We often take bike rides between Saugeen Township and Port Elgin which has been made even easier with the addition of bike paths between Southampton and Port Eglin in summer 2010. One bike group in particular starts their days in Southampton, rides to Port Elgin harbour and stops for coffee and treats at the Harbour Lights restaurant. 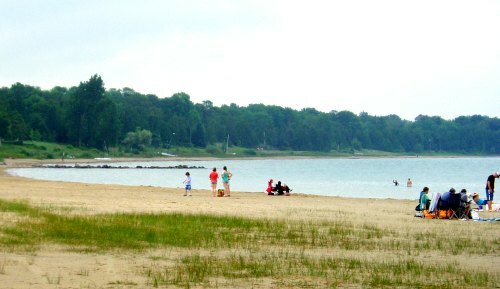 While there is a popular beach beside the Port Elgin Harbour, Gobles Grove and Eidts Grove beachs are a desirable beach and cottage area. If you are looking for camping there is a trailer park in town, but just outside of town is MacGregor Point which is a provincial park with a beach area and camp sites. In the fall Port Elgin is famous for Pumpkinfest, which is a festival celebrating agriculture in gigantic form. In addition to weigh offs of enormous pumpkins and other winter vegetables Pumpkinfest has a classic car show, pumpkin carving, pet shows, its own pumpkin patch and a talent show. Port Elgin Ontario is found on Lake Huron between Kincardine and Southampton. Return HOME from Port Elgin Ontario.